The best things in Sardinia are out of sight and difficult to be found. The generosity of Sardinian people is hidden by their proud and suspicious facade. The beauty of Cala Luna bay is hidden by the mountains. The fascinating nuragic village of Tiscali is not an exception. It is maybe the most popular archaeological site in Sardinia. 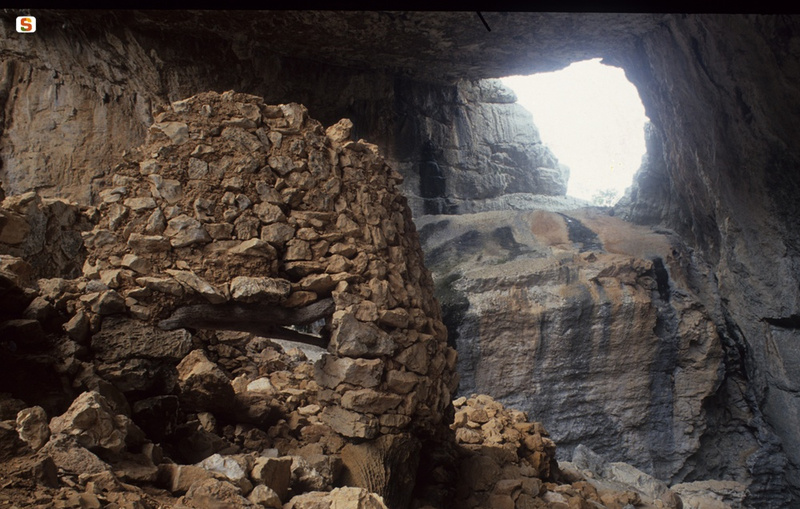 The nuragic Village of Tiscali attracts tourists because of the mysteries around its construction and because of its difficulty to be reached. The ancient village founds on the top of Tiscali Mountain, from which it takes name. It is hidden in a sinkhole and is composed by about 40 huts, dived into two separates areas. They are partially tumbled down but you can still recognize the original walls or the juniper wood architraves. The wander to the village of Tiscali lasts about 2 hours, following the red arrow painted on the rocks. The path is various; the level of difficulty is middle. Once reached the top, here is what you see: a forest of holm oaks and mastic trees, the rests of ancient huts lightened by the sun which filters from a natural crack, interesting botanic peculiarities due to the inner microclimate. But when has it been created? The creation of the Tiscali village dates back to the last Nuragic age (VI-IV century BC), but further details about its origins are still unknown. The technical construction differs from the other Nuragic villages and scientists suppose that the edification could coincide with the roman occupation of the island. The ticket to enter the village costs €5,00 and includes the guided tour. Author Bio: Giulia Garau lives and works in Sardinia, in tourism field. She loves travelling and writing and she’s happy to combine her two passions running the blog about Italy, CharmingItaly.com. Italian Cuisine: Sardinia. A recipe: Lamns with Olives. Lamb with Artichokes: a Sardinia Recipe.